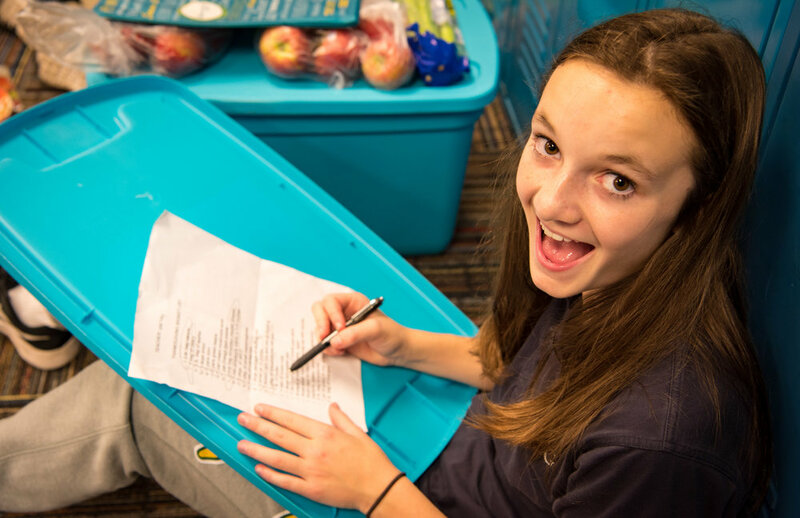 This year...as in the MANY years past...Our Lady of Grace Catholic School Student Council collected food items in each classroom to put together 30 Thanksgiving FEASTS for those in need at the Basilica of Saint Mary in Minneapolis. The kids include all the things needed for a great meal, and all the left-overs. These meals go to help those actively seeking employment, and those who are underemployed and need some help to make their Thanksgiving meal with the family. This is a tremendous way to witness to the Love and Care of our Lord, and shows the magnanmious hearts of our student. WAY TO GO KIDS! !